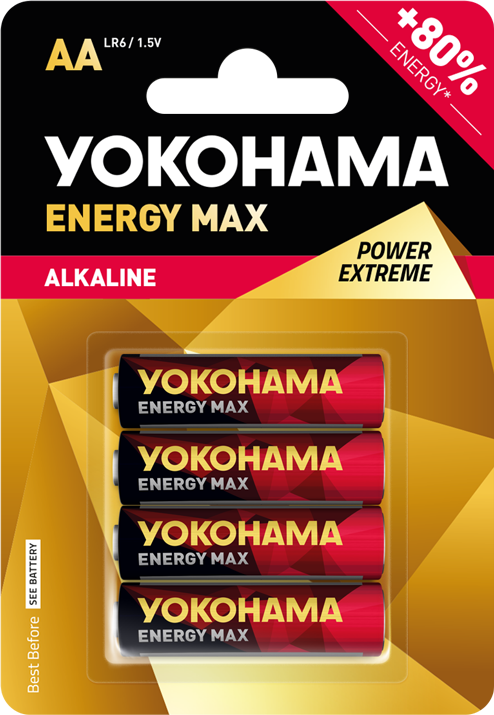 Premium alkaline batteries. 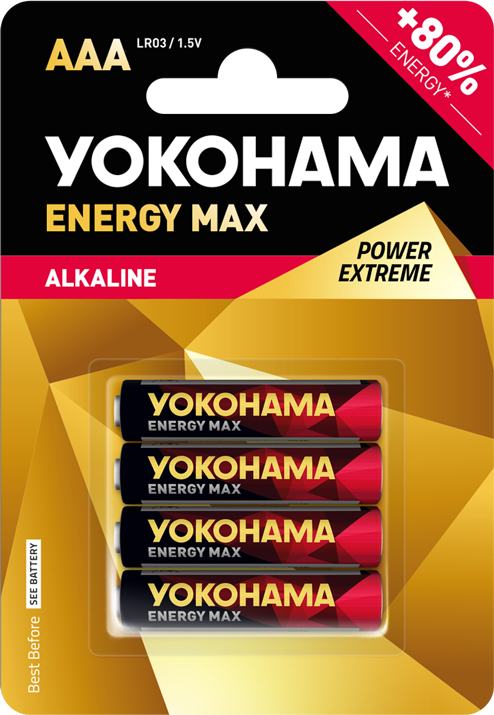 When reliability is a must-have! 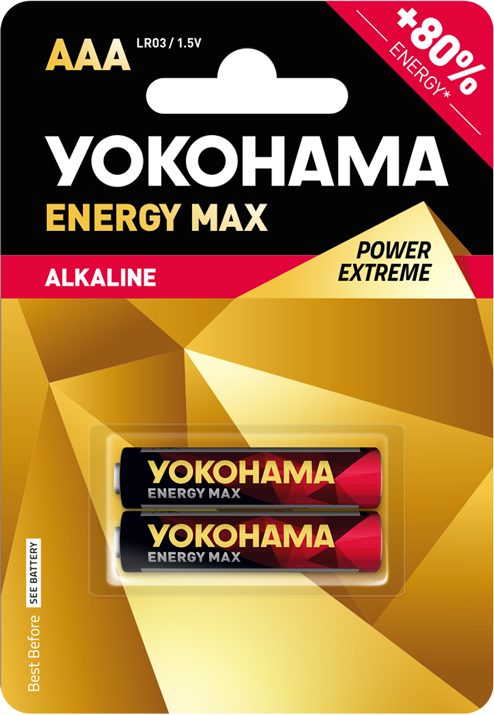 Premium YOKOHAMA AAA (LR03) size alkaline battery. With its multi-stage leak protection and MAX optimum efficiency, it is ideal for demanding electronic devices.